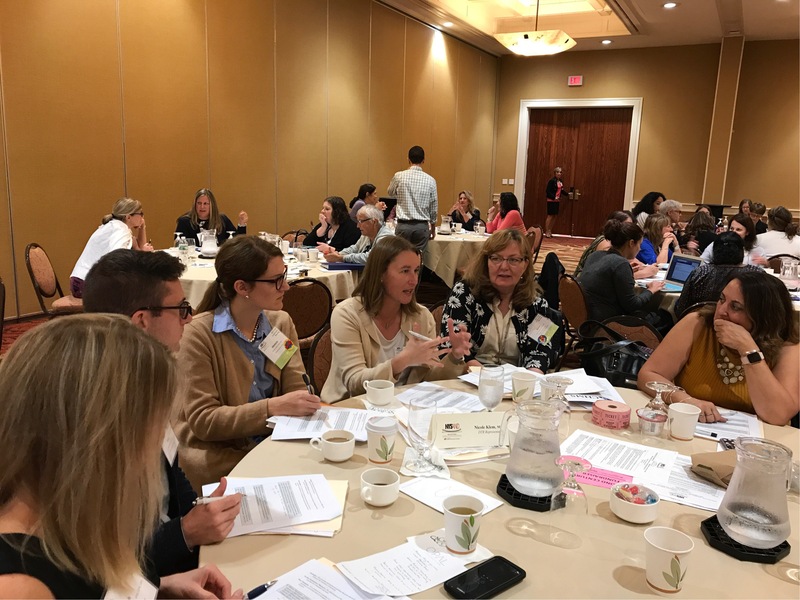 I recently attended the New York State Academy of Nutrition and Dietetics (NYSAND) Leadership Meeting, an annual event each fall, the location of which rotates around the state. 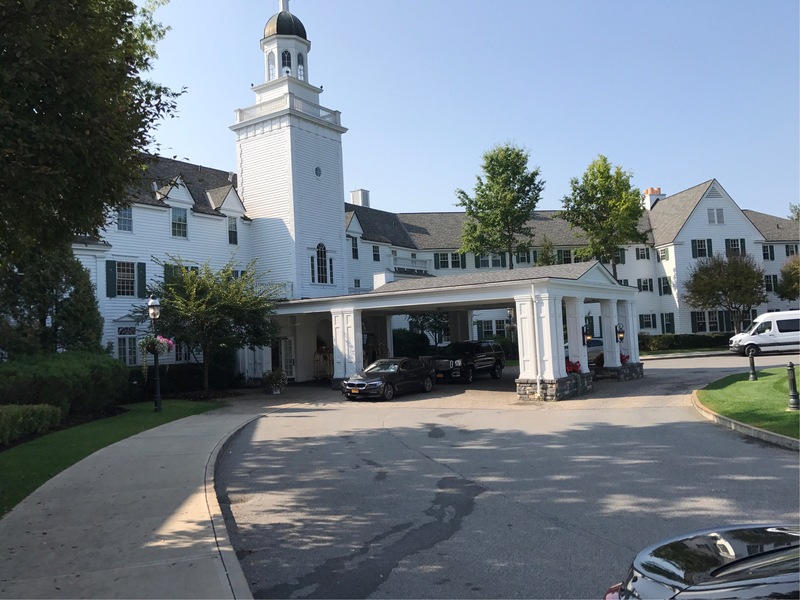 This year, our conference was The Sagamore on beautiful Lake George. It’s about a five hour drive from Buffalo and absolutely gorgeous. My only regret was that we were stuck inside much of the day Friday and Saturday morning and not able to enjoy the area. If I’d planned it right, I could have spent time exploring Saturday after we finished up, but carpooled with others and we were ready to get back home. I did, however, enjoy grabbing ice cream with two new friends from the Greater New York Dietetic Association (NYC) Friday evening. We drove a few minutes to the quaint, walkable village of Lake George and walked up and down the main drag and by the water. You can tell it’s a hoppin’ place in the summer. I’ve been on the board of the Western New York Dietetic Association (WNYDA) for the past three years, my first while still a student and the last two years after becoming a Registered Dietitian. WNYDA is the local chapter of NYSAND, which then reports up to the Academy of Nutrition and Dietetics (AND). With my background in Public Relations and writing, I’ve been the PR Co-Chair, each year sharing the role with another RD. Over the years, we’ve worked on getting our social media pages up and going, including Facebook and Instagram, as well as having t-shirts made to sell to members of our organization and even manning a water table at this year’s Buffalo Marathon. This year, we’re hoping to do even more with social media, look into how best to provide WNYDA merchandise (t-shirts, travel cups, etc…) for purchase to our members online and get more involved with our local media rep and be more active promoting nutrition in our communities. The conference included board members from PR, Public Policy, President and Past-President positions. I had two highlights from the weekend: breaking down the verbiage of the new licensure bill and the PR breakout session. Right now, dietitians in New York are VERY excited about the licensure bill that is up for a vote in the House and Senate this January. The road to licensure has been a long, uphill battle for many years, and we think this year might be the one! Many, MANY, other states already have licensure, which basically regulates the practice of nutrition and dietetics. The bill does grant protection for those who offer ‘non-medical nutrition information’ (i.e. people who work at Weight Watchers, etc), but outlines a distinct professional scope of practice for those who are licensed by the state, which would include Registered Dietitians and Certified Nutrition Specialists (CNS), which is a program by which those in the healthcare field can become nutrition experts through education, supervised practice and passing an exam. The main purpose of the licensure bill is to protect the public. By providing licensure to true nutrition experts (those who have received the proper education, training and been registered with the Academy and/or become a CNS), only those qualified to give medical nutrition advice and care to the public can. It also would provide licensed dietitians the ability to write their own orders in hospitals. During a session, we broke into three groups and rotated around the room to each of three stations where two Public Policy RDs explained the ins-and-outs of a portion of the bill. It was really great to get our questions answered on various sections from those who really KNOW the bill. It passed in the Senate this Fall, now it will go back to the Senate and to the House at the same time. We’re very hopeful it will pass this Spring! My other highlight of the conference was the PR breakout session. It was neat to hear how other chapters handle their social media (one chapter has a group of 20-!! !-volunteers posting and Tweeting on a regular basis!). We brainstormed ideas and I got more motivated to grow our social media presence. Additionally, we also gathered together with members of our local chapter to create/update/improve our own mission, vision and strategies. It was a great opportunity to hone-in on some of our goals (such as increasing member participation) and how to achieve them. Lastly, one of our members, Drew Hemler, received a grant for his work on a PR-themed video that will be put on our website. It was an idea generated at one of our meetings, started strong, lost steam and died. Drew resurrected the project by bringing some professional videographers on board and the video is in the process of being edited right now. It will be a great tool to explain ‘what is a dietitian?’ to others. 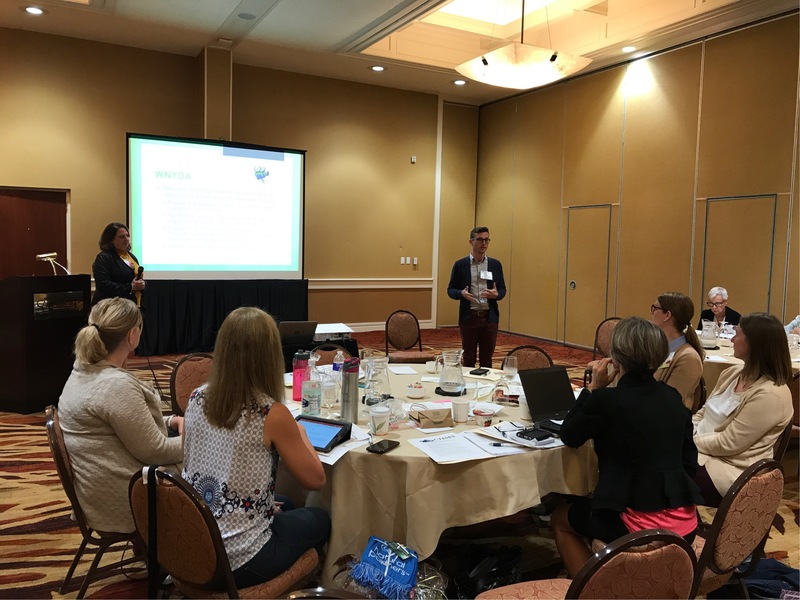 Posted on October 4, 2017 by thehealthypineapplePosted in Becoming an RD, Slice of LifeTagged Academy of Nutrition and Dietetics, AND, Certified Nutrition Specialist, dietitian licensure bill, Drew Hemler, GNYDA, Lake George, leadership conference, NYSAND, NYSAND Fall Leadership Meeting, professional education, registered dietitian, The Sagamore, WNYDA. Next Next post: Erie Marathon!!! !